This Sunday your child will learn about the worldview of Hindu groups around the world. Although Hindu practices vary from culture to culture, they are based on the assumption that there are many manifestations of ‘god’ and many lifetimes to become perfect. Hindus worship millions of gods and goddesses, believing that these gods dwell inside statues in temples and shrines. Through praying, visiting temples, and offering gifts to the “gods”, Hindus believe they can make their hearts clean. Hindus do not understand that Jesus is unique, not just another god among the millions. They do not understand that Jesus died on the cross to free them from the power and penalty of sin. Hindus need to know that Jesus loves them and died on the cross to remove sin from their hearts forever. Ask your child to share something they learned about Hindu forms of worship. Read Romans 5:17 with your child and discuss how belief in Jesus could give Hindus hope for their future. Read Hebrews 9:27-28 and talk about how this verse relates to the Hindu belief of reincarnation as well as the hope that being good earns us points with God. Can we save ourselves? For Fun: Watch a family-friendly movie that refers to India such as Brother Bear or Jungle Book. Afterwards, discuss references to Hinduism and talk about what the Bible says. 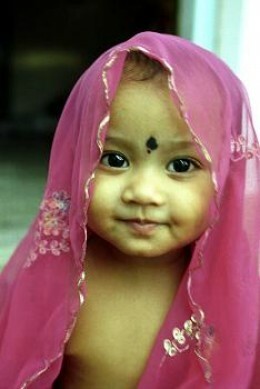 Prayer: Pray for tribal children who are the same age as you. Pray that they will come to know Jesus as their savior. Coming July 16-20 Uncharted Waters Sports Camp! This Sunday your children will be learning about a fascinating tribal people group, the Bhil (BEEL). The name Bhil comes from the word billee (BEEL-ee)which means bow. Centuries ago Bhil men were fierce warriors who used bows and arrows not only in warfare, but also to hunt tigers and other wild animals. Today some men still use bows and arrows to hunt small animals. The Bhils are one of the largest tribal people groups in India, living mostly in the western central part of the country. They speak Bhili (beel-ee) which is an Indo-Aryan language. They are a people who serve as a link or bridge between two other large tribal groups- the Gujarati (GOO-jah-RAH-tee) in the east and the Rajasthani (RAH-jash-TAHN-ee) in the west. Although the Bhils are generally shy, they love their independence and have held tenaciously to their ancient tribal rituals. Most villages have witch doctors which try to appease the gods they believe in through a variety of witchcraft and sacrificial ceremonies. Like many tribal groups of India, the Bhils have also incorporated aspects of Hindu religion into their tribal beliefs. Your children will watch a video to learn more about the Bhil people. Kids will watch Bhil girls carry large water pots on their heads, boys play traditional games, men use bows and arrows, and women cook over open fires. They will enjoy seeing how families eat their meals on the ground from plates made of leaves. Most importantly, kids will learn that most Bhils have never heard who Jesus is. Draw your children into praying for the Bhils so the light of Jesus will fill their hearts and lives! Read more about the Bhils together as a family over at the Joshua Project. * Ask the Lord to call people who are willing to go to India and share Christ with the Bhil. * Ask God to provide open doors for the Bhil believers to share the Gospel with their own people. * Pray that God will reveal Himself to them through dreams and visions. Have an Indian-themed meal as you pray for the Bhil peoples. Make chapati bread, chicken curry, or vegetable pakoras. Or drink some chai tea or mango lassis. If you aren’t a cook, try ordering some Indian food. Have fun joining together as a family to pray for the Bhil people! Key Point of Passage: God has made each of us to be a special helping part of the church, just like He made each part of our bodies to help the whole body. Memory Verse: Be filled with the Holy Spirit (Ephesians 5:18). 1) The Bible says that God gives the Holy Spirit to each Christian and that the Holy Spirit gives each of us special gifts – or things we are good at doing. Does God make us all the same? Or are we given different gifts? 3) In the same way, God says the church is like a body, and each person in the church has a different thing to do to help the church. God says the Head of the church is Jesus (label the head “Jesus”). □ What are some different gifts or talents the Holy Spirit might give people to help the church? □ What things are you good at doing? (Write each child’s name somewhere on the body). □ How can you use the things you are good at doing to help your family, friends and church? Key Point of Passage: Just like God promised He would do, He saved the lives of Paul and all the men on Paul’s ship when they got caught in a terrible storm and their boat crashed. 1) What kind of weather did Paul and the men sailing with him have while sailing? 2) What happened to their boat? 3) But God promised Paul that He would save his life, and the lives of all the men sailing with him. Did God keep His promise? 4) Does God always keep His promises? This Sunday your child will learn about the worldview of tribal groups around the world. Tribal peoples often live in isolated areas like jungles or mountain villages. Although they believe in a creator who made the world, they do not believe that he can be known in a personal way or that he is interested in the everyday lives of human beings. Tribal peoples are animists, believing that powerful spirits indwell objects in nature like trees, rocks, water, mountains, and animals. Ask your child to share something they learned about tribal forms of worship. Read Romans 8:9 with your child and discuss how the Spirit guides us. Talk with your child about how God wants Christians to be controlled by His Holy Spirit. Read Romans 8:15 and talk about how as Christians we are free from fear because we are children of God. Discuss how this truth could change the life of tribal peoples. For Fun: Have a dinner where you eat “tribal food” such as dried banana chips, papaya, fresh coconut, fresh pineapple, or mangoes. 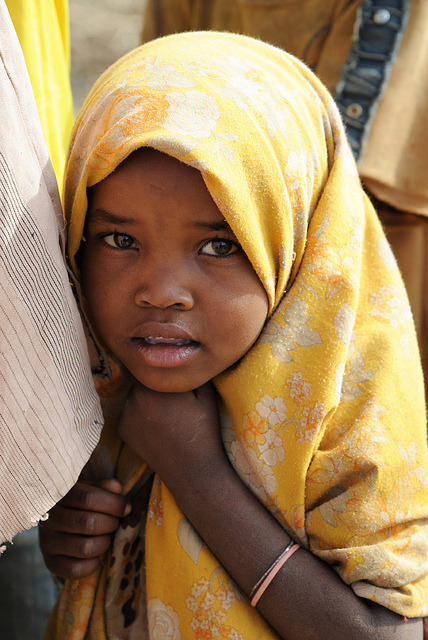 Prayer: Pray for tribal children who share the same birthdays as you. Or, adopt a tribal group and pray for them regularly. The website the Joshua Project offers helpful information on different people groups. Read a missionary story in the Bible, such as Jonah or Philip and the Ethiopian, and talk about it with your family. Encourage your child to write down how they came to Jesus and share it with a friend. Read a biography of a missionary such as William Carey, Hudson Taylor, Jim Elliot, Lottie Moon, or Amy Carmichael. Read a book about a different country. Watch a television program or video about a different country or different group. Look through a National Geographic magazine to learn something about a different country or people group. Learn how to say “hello” in three languages. Cook an international meal with your family. Use a world map or globe to locate a specific unreached people group. Pray for them regularly. Give money to a missions project at church. Write a letter or e-mail to one missionary family. Pray about sponsoring a child. If you already do, write your child a letter!